Use my comprehensive packing list for Japan to ensure you’ve got everything you need to make your Japan trip hassle free. Minimize your pre-trip stress with my comprehensive packing list for Japan. Travelling light is always ideal, and you don’t need to bring much with you to cover almost any situation in Japan. Where a product is mentioned below, I’ve linked to Amazon.com for reference (all links are affiliate links). Passport: Make sure it has at least six months validity and one empty page. Visa: Many nationalities can enter Japan without needing to arrange a visa in advance, but it’s best to check ahead. See Do I Need A Visa For Japan for more details. Buy your Japan Rail Pass if you’re intending to travel around the country. You need to buy this before you arrive in Japan. See my article Japan Rail Pass: Is It Worth It? for more detailed info. Short answer: Yes, it is! You can buy a Japan Rail Pass directly online at GoVoyagin.com. Travel insurance is vital for Japan and indeed anywhere in the world. Japanese health care is excellent but also expensive. Besides your health, you want to be protected against cancelled flights, missing baggage etc. Hopefully you’ll never have to use it – but travel insurance makes all the difference if you do. We recommend World Nomads – read more about why on our Japan Travel Insurance page. Credit Cards and Debit Cards: VISA and MasterCard are widely accepted in Japan – American Express not so much. Ensure you tell your bank before you leave your home country that your card may be used in Japan. Also bring an ATM debit card to withdraw Japanese yen from your checking account. See Getting Money In Kyoto for more information – it’s pertinent to the whole country. Make a copy of all your passport and credit card details: Use your cellphone to take photos of your passport photo page and the back and front of your credit cards. Email them to yourself in Gmail or other internet accessible email account. Now you have all the details and emergency numbers if you should lose your cards or passport. Japan Maps: There’s still no quicker way to get a sense of the big picture than looking at a hardcopy map. For Japan, the best commercially available maps are made by Periplus. 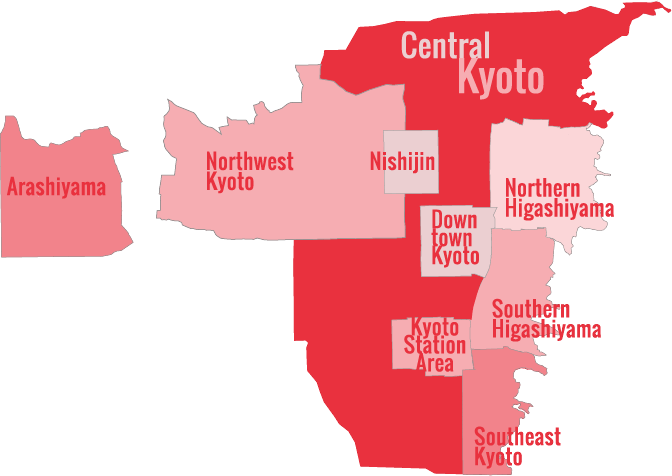 The Periplus Tokyo map is the best English-language map of Tokyo, and their Kyoto map is the best English-language map of Kyoto. Likewise, the Periplus Osaka map is the best English-language map of Osaka. If you want an all-country map, I recommend their Japan map. You will not find anything better in English. Guidebook: Having a real guidebook can be useful in tandem with online information – plus it’s handy to browse on the plane. My recommendations are Lonely Planet Japan for the whole country and Lonely Planet Kyoto City guide if you’re just visiting Kyoto and around. Yes, I’m biased, because I’ve worked on both books. Japan is incredibly easy to get around with public transport that’s super efficient and well organized. A wheelie suitcase and day backpack will suffice for most trips, assuming you’re sticking to the cities not going overnight hiking or on other adventure excursions into the wilderness proper. There are storage lockers at Kyoto Station (and other stations) big enough to store a large suitcase for a day if you need to stash luggage after checking out of your Kyoto accommodation. If you need to store luggage for longer, there’s a luggage storage office below Kyoto Station. Depending on what time of year you go to Japan, it can very hot or quite cold, or somewhere in between, so it pays to think ahead. See my Best Time To Go To Kyoto page for a rundown of what to expect from the weather month by month in Kyoto – I’ve written similar guides for Tokyo and Osaka, too. Obviously, research ahead of time about the likely conditions before you arrive. The classic travel advice applies – wear layers and use breathable fabrics. Cotton and linen are good, as are more modern heat-wicking clothing fabrics used by UnderArmor and other sporting brands, especially in the summer months. These fabrics are especially good for underwear and designed for both sexes. Denim is not so good as it’s heavy and holds moisture. You are likely to be doing a lot of walking, so you want to be as comfortable as possible. Similarly, make sure you have some lightweight comfortable walking shoes. Unless you intend on doing some of Kyoto’s more demanding hikes, you really don’t need to bring heavy hiking boots etc. And, if you’re like me, you might be happy doing even those hikes in running shoes. A lightweight fleece is a great item to have even in summer months simply to keep you warm on airplanes and other travel situations where the air conditioning can be arctic and beyond your control. A quick drying towel packs down super small but can be extremely useful as an extra towel for hair drying etc. Pack everything using travel cubes – they organize your clothes so you can access everything near instantly. Having a well-stocked toiletries bag can save you a lot of inconvenience and discomfort wherever you travel. In Japan, you can restock from the ubiquitous convenience stores like 7-11, Lawson and Family Mart. For pharmacies, you will find large pharmacies all over town, particularly around train stations. They carry Japanese versions of most over-the-counter medicines and pharmaceutical products. If you speak slowly, you can usually get your point across when asking for help finding things. Sunscreen, sunglasses and hat, especially during spring and summer. It can get very hot. Be sure to get sunglasses that properly filter harmful UV light rather than just look good. For sunscreen, go for a 30 SPF or above. Deodorant: if you want to stay fresh while travelling to Japan, you can keep the stick style of solid deodorant in your hand luggage – it’s deemed safe by TSA guidelines. Decent toiletry bag to keep everything organised. The roll-up style you can hang from the back of a door is particularly useful. No doubt you’ll bring your cellphone so remember the charger and charger cable and also ensure you have a universal adapter so you can plug it into Japanese style plug sockets. Japan uses a two-prong plus without the third pin (the ground pin), so you will need an adapter if you want to use three-prong plugs. If you forget them, they are available at electronics shops in Japan. If you’re bringing a tablet or Kindle or laptop, same advice applies: remember the charger! If you plan to use your phone a lot for taking photos and looking at maps, the battery can go down fast. You can solve this problem by getting a Power Bank which will provide extra power for your phone while you’re on the move. You can easily get a data-only Japanese SIM card for your phone which will be much cheaper than roaming on your existing SIM although you can do that too. See our comprehensive guide to the Internet in Japan for tourists. Your cellphone is likely the single most expensive item you will have with you during your travels. Make sure it’s protected from drops and knocks by getting a robust cellphone case. The Otterbox range of cases are a good example of protective covers that will save a phone from falling on sidewalks, kitchen floors etc. If you are bringing several valuable electronic items with you, consider getting extra individual insurance on those items. World Nomads lets you bolt on extra coverage to an existing policy providing peace of mind in case of loss or damage. 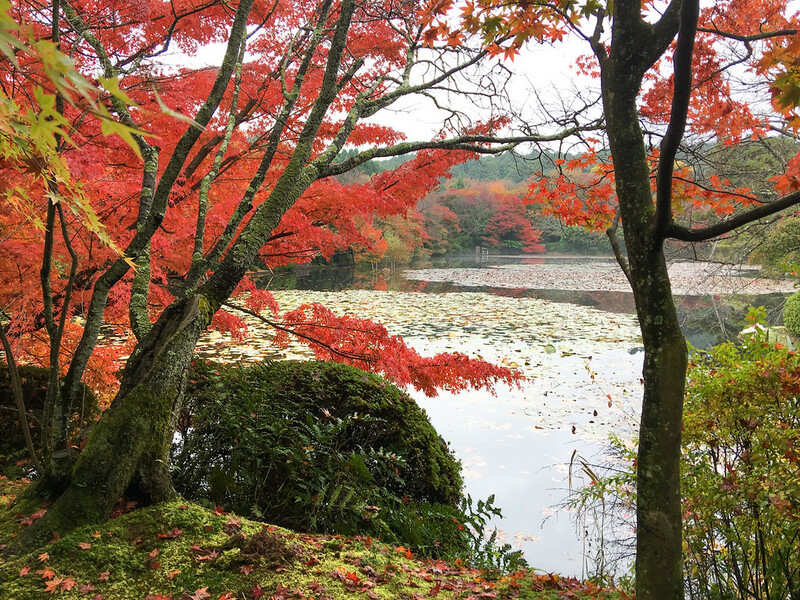 Japan is so photogenic you might want to pack more power than just your cellphone camera. You can get add-on lens for your cellphone that provide zoom, wide angle and fish eye lens capabilities. Getting one of the Canon compact cameras is also worth considering if you want a dedicated camera. If you’re coming from the USA, have TSA approved luggage Locks. Wherever you travel in the world, it’s wise to not keep all your cash, credit cards and other valuables in one place on your person. Separate them into different pockets and consider a travel neck pouch too. Audiobooks – Audiobooks are a great way to make the most of travelling time and also shut out the noise of airplane and airport environments. Audible offers a free trial and has thousands of best-selling audiobooks to access and download. See my list of my favorite books about Japan if you need some inspiration. TV Show Downloads – You can download a wide selection of TV shows and movies to your mobile device with Amazon’s Prime Video service, letting you watch them anywhere without any kind of internet connection – perfect for plane journeys. See my list of my favorite movies, TV shows and documentaries about Japan if you want some ideas on what to watch. It’s worth noting that Amazon sometimes gives away Kindle devices and noise-cancelling earphones on their Amazon Giveaways page. The Giveaways page has hundreds of offers giving away different items, some quite expensive, in return for a small task like watching a short video or signing up for a newsletter. However, many items have no requirement at all – you simply click a button and see if you won the item or not. Unfortunately Amazon Giveaways are only open to people with a USA shipping address but if you live in the US, it’s worth checking for some free stuff that might enhance your holiday. Japan is a great place to travel with children: It’s safe, clean and filled with fun things for children to do. Be sure to bring any medicines that children might need from home. Also, bring a couple of English books for them if you like to read to them before bed. If you forget, you can buy English-language children’s books at major bookstores in Japan, including Maruzen in Kyoto. For more details on travel with children in Japan, see our Kyoto with Children page.